State Senator Mike Phillips, bottom left, during a recent Senate floor session. The Democrat from Bozeman is sponsoring an interim Legislative study bill to examine what would Montana do if it lost revenue from coal. Schools, the state of Montana, and local governments all benefit from revenue from coal, directly and indirectly. Besides income and property taxes, there’s also the severance tax on coal. Half of that tax revenue goes into the permanent Coal Severance Tax Trust. That money can’t be spent without approval from at least three-fourths of both the Montana House and Senate. The other 50% goes to the state’s general fund and a myriad of projects, including for the long-range building program, conservation districts, the state Library Commission, and the cultural trust. State Senator Mike Phillips, D-Bozeman, wants to initiate a conversation about what would be the future of Montana without those dollars because the demand for coal and coal-fired power plants is on the decline. His proposed Senate Joint Resolution 5 calls for an interim study regarding the phase out of coal and the economic impact to the state and its residents. 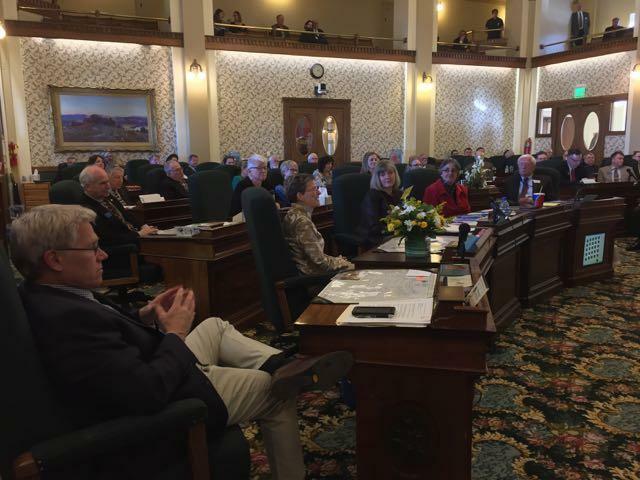 The panel would be charged with reporting back recommendations to the 2019 Montana Legislative session. In an earlier Capitol Connections, Phillips said one possible replacement revenue source is a tax on tourists. He’s also sponsoring Senate Bill 331, a local option sales tax that would also provide residential property tax relief and fund local infrastructure projects. Phillips, a scientist, is probably best known in Montana and Wyoming for overseeing the restoration of the gray wolf into Yellowstone National Park in 1994-1997. He currently serves as Executive Director of the Turner Endangered Species Fund, a non-profit formed by Ted Turner and is a member of the Turner Energy and Ecosystem Committee charged with reducing greenhouse gas emissions. Phillips says currently Montana has no data on greenhouse gases. His Senate Bill 190 seeks to collect that data and establish a Greenhouse Gas Management Account. The Capitol Connections theme music is courtesy of the Alex Nauman Trio. This week, the topics of discussion from the Montana Legislature: a local option tax proposal and sentencing reform in the state’s criminal justice system. State Senator Mike Phillips, D-Bozeman, had a local option sales tax bill drafted, even though past Legislatures have rejected such proposals. Phillips said what makes this proposal different is it would be temporary. The tax, to be enacted by local voters, would be in effect only long enough to pay for what he calls "critical" public works or infrastructure project and a minimum of 10% of the revenue raised would have to go to homeowners in the form of property tax relief. 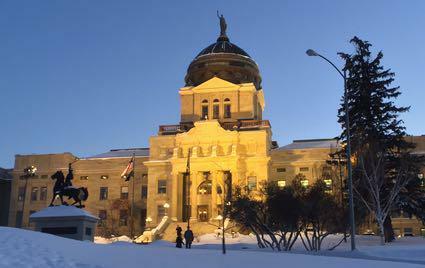 Capitol Connections: Future of Colstrip and "Sharia Law"
This week our topics from the 2017 Montana Legislature are: coal and prohibiting state courts from considering foreign laws. 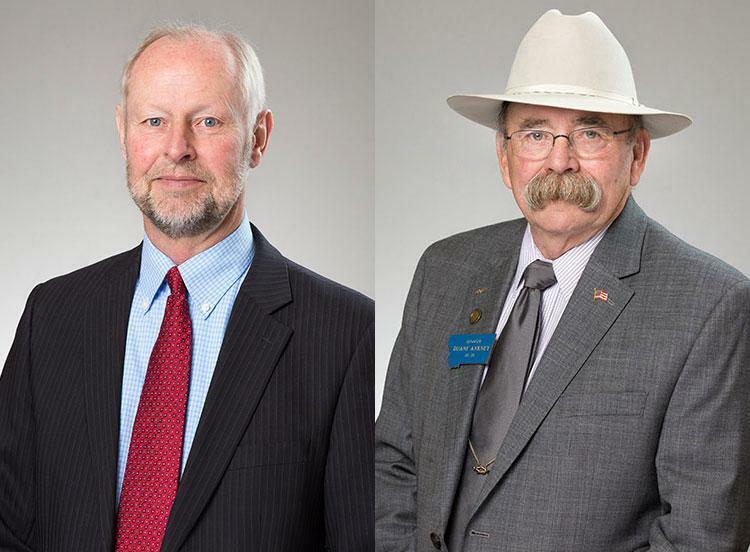 Guests: Sen. Duane Ankney, R-Colstrip, and Sen. Keith Regier, R-Kalispell.